As if protagonists of the saga “Transformers” was, giant humanoid robots faced for the first time in a “duel to death” in a project that pretends to become a “sport” modality with millions of followers. And to that furor by the contribution of the Japanese to the genre of animation bet from Hayward (California) the people in charge of the robot technology company Megabots, that dream of filling stadiums to see to these moles destroying like of a movie, videojuego or the imagination of a child. 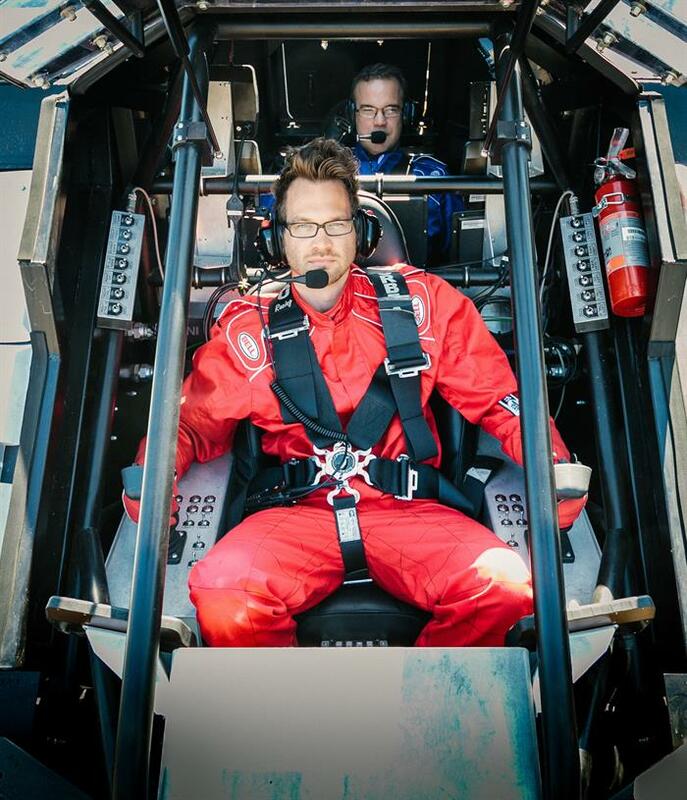 MegaBots co-founder Matt Oehrlein explains to Efe that they are already in negotiations with companies to sponsor and issue this championship of human-manipulated robots, which he believes is already a “reality” with the two issued on Tuesday by the night through the Twich platform. It all started two years ago, when in the summer of 2015 Oehrlein and the other co-founder of the firm, Gui Cavalcanti, challenged the Japanese Suidobashi Heavy Industry in a video that soon became viral in which they appeared with a United States flags by way of cover. “You have a giant robot, we have a giant robot, we have a duty to the science fiction lovers of this world to fight to the death,” they challenged in this video in which they gave the Japanese the possibility to choose the place of battle. So it was. 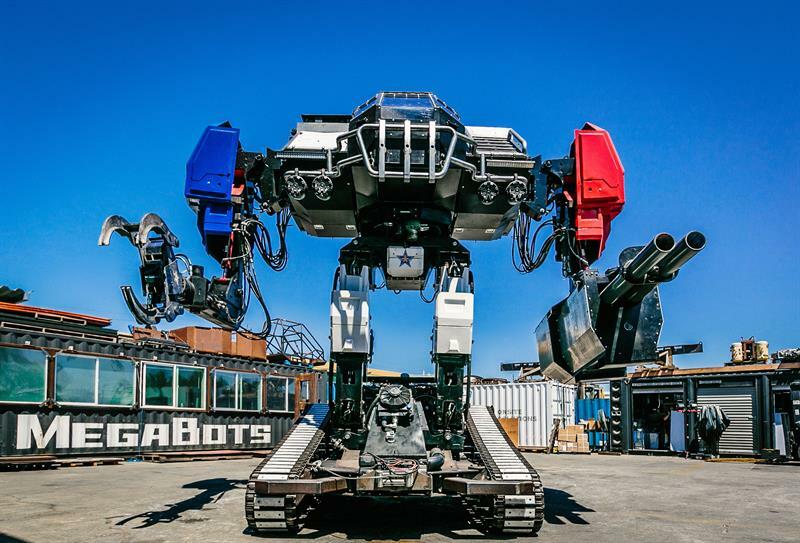 The Japanese opted for a steel plant abandoned in Japan to host this particular duel in which MegaBots presented two robots: Iron Glory, 6 tons, 4.5 meters in height and 24 horses, and Eagle Prime, a “monster” of 12 tons of weight, 4.8 meters of height and 430 horses of power. On the other side of the ring, Suidobashi improved his robot Kuratas, looking much more polished and modern than his rivals and with 6.5 tons, 3.9 meters in height and 87 horsepower. The first duel was defined by the speed of Kuratas, who succeeded in knocking down an Iron Glory with his cannon and his rocket launcher. However, the Japanese robot, who boasted of an articulated hand and an automatic weapon of 18 millimeters, could do little to the one in which it underwent to him Eagle Prime, handled by the own Oehrlein and Cavalcanti. The American robot used its mechanical saw to kill its rival, run by Kogoro Kurata, in this first installment of combat that would end if one of the two robots was “knocked out”, “disabled” or the pilot surrendered. This combat was issued in deferred, because it extended for several days, because every time the robots went to their “corner” of the ring the repairs went much beyond giving water, advice and try to remedy an open and bleeding eyebrow as it happens in the boxing. The $ 2.5 million Eagle Prime was touched in combat, though Oehrlein says they can recycle 80 percent of their humanoid. For future battles, he says, they must continue to develop their robot, especially in areas of “reliability and security”. In this first bout, which featured mixed martial arts (MMA) narrator Mike Goldberg and robotics expert Saura Naderi as commentators, there were no witnesses beyond the competing teams and production staff. It was done so that robots could be as destructive as possible without endangering any person and without risking significant damage in a stadium or other public place. However, they hope to have very soon public. “The next step is to schedule the first live match,” says Efe Oehrlein, who says they will soon have details of a second match. For his future league, he explains, have already received companies interested in this project from China, Russia, India and Australia.